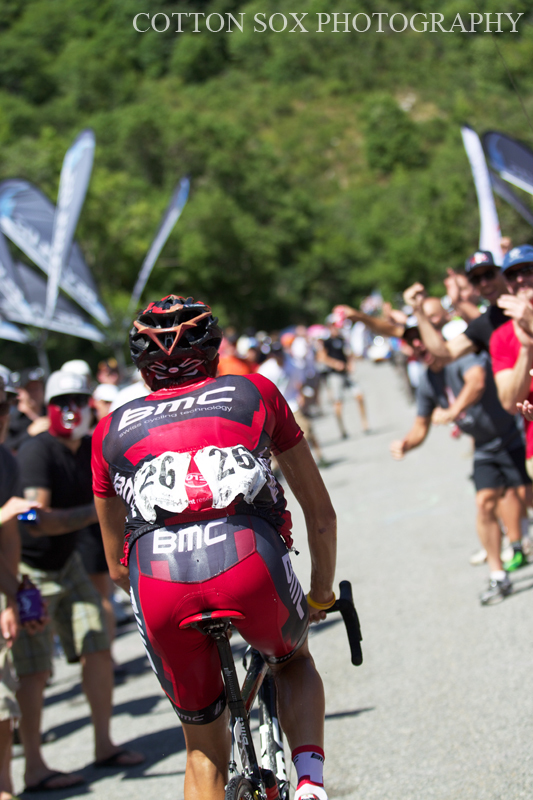 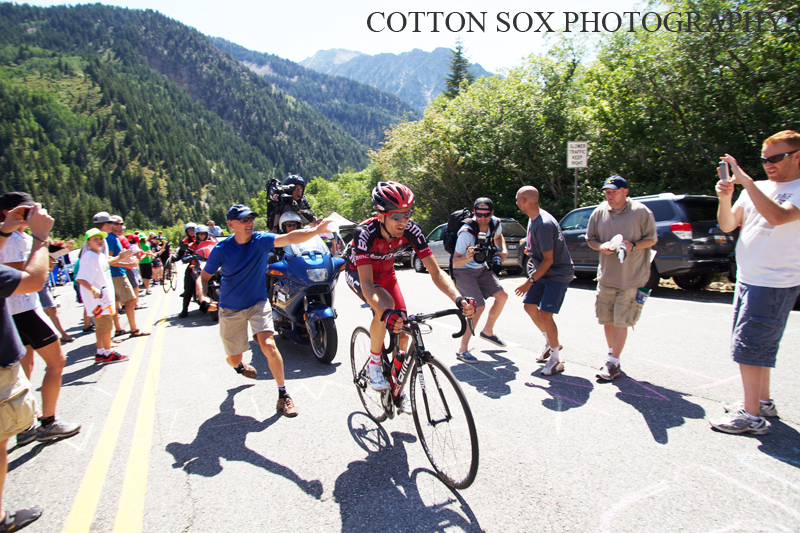 A solo attack up Little Cottonwood Canyon launched BMC Racing Team's Johann Tschopp of Switzerland to victory today at Stage Five presented by Exergy Development Group of the 2012 Larry H. Miller Tour of Utah. 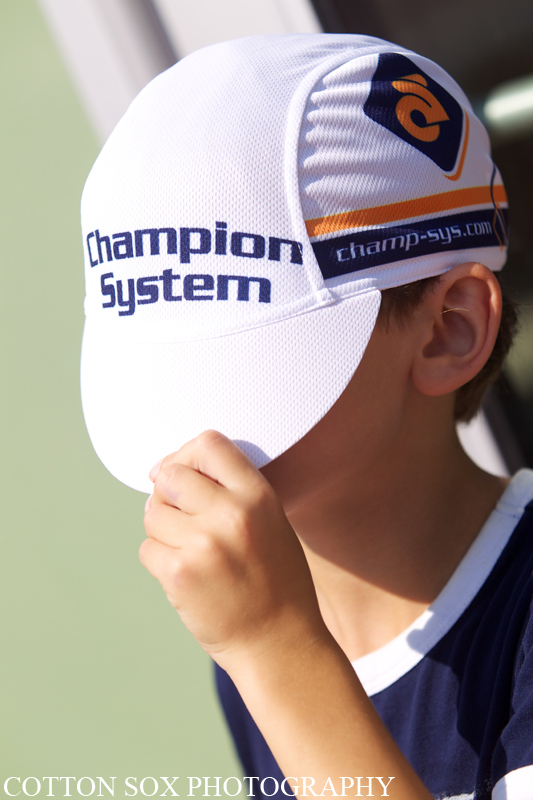 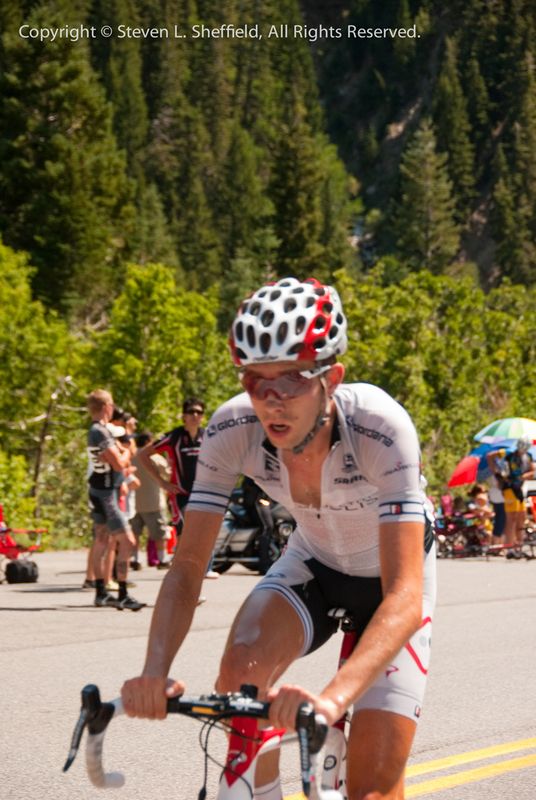 By hitting the finish line in four hours, 18 minutes and 20 seconds at Snowbird Ski and Summer Resort first, the Swiss rider leaped from 14th on general classification to the overall race lead. 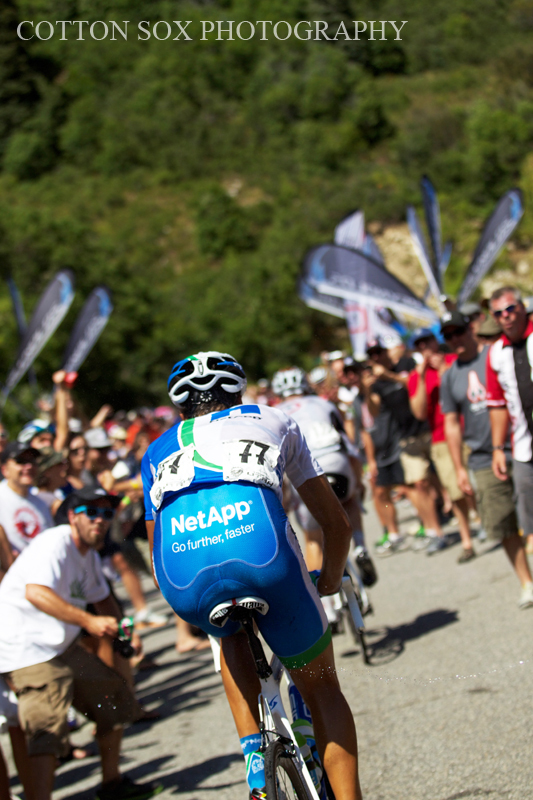 Team NetApp’s Leopold Koenig pulled away from a chase group over the final kilometer to finish second, 43 seconds behind Tschopp. 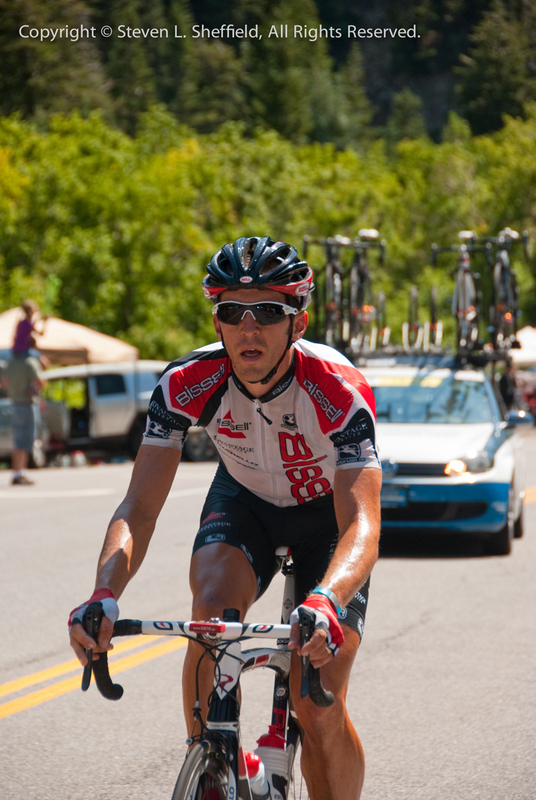 American Joe Dombrowski of Bontrager Livestrong placed third, just 47 seconds back. 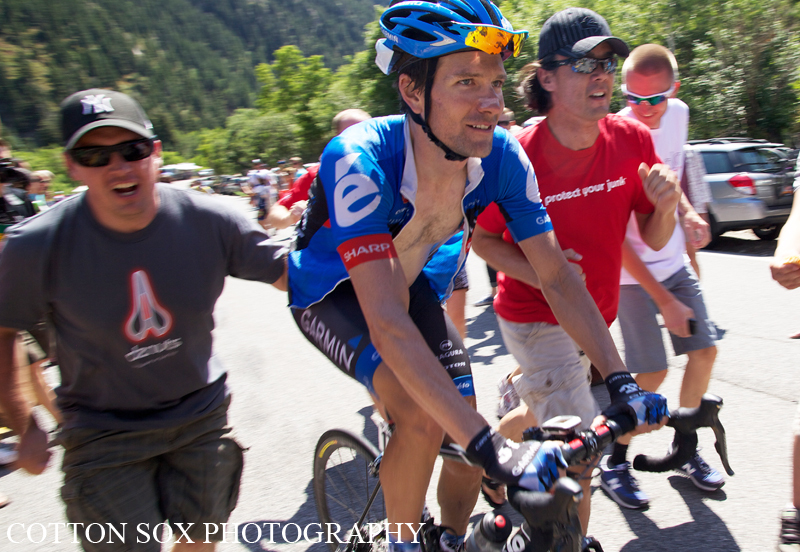 Tschopp’s victory shook up the general classification as he supplanted Garmin-Sharp-Barracuda’s Christian Vande Velde, who now sits in second on G.C., 38 seconds off the pace. 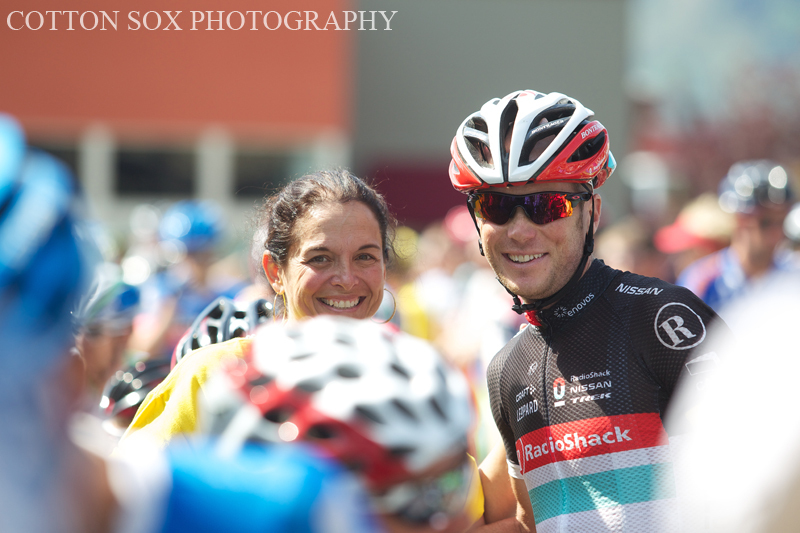 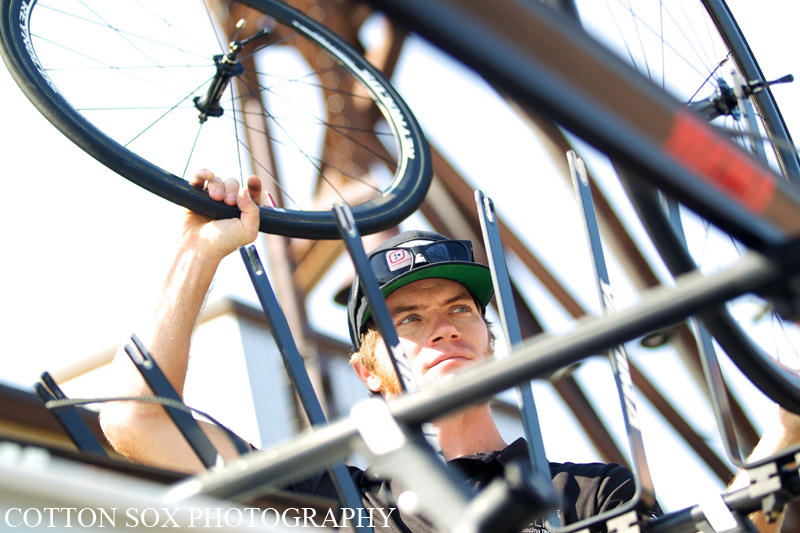 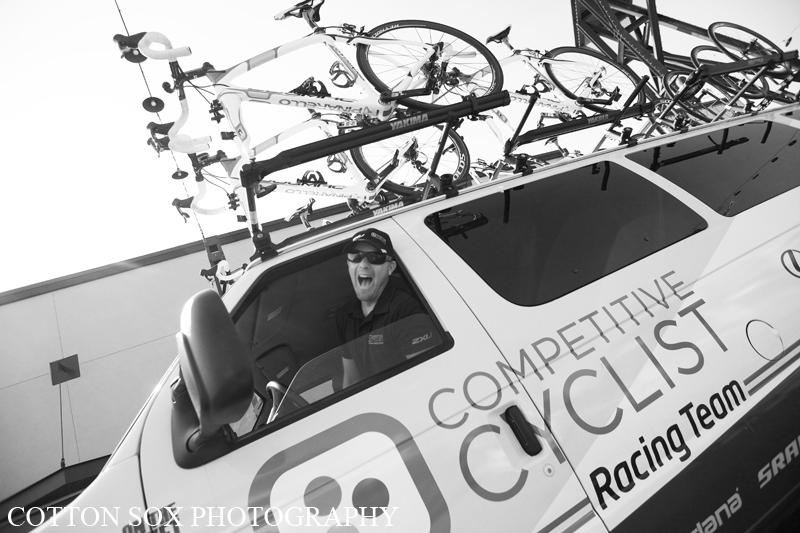 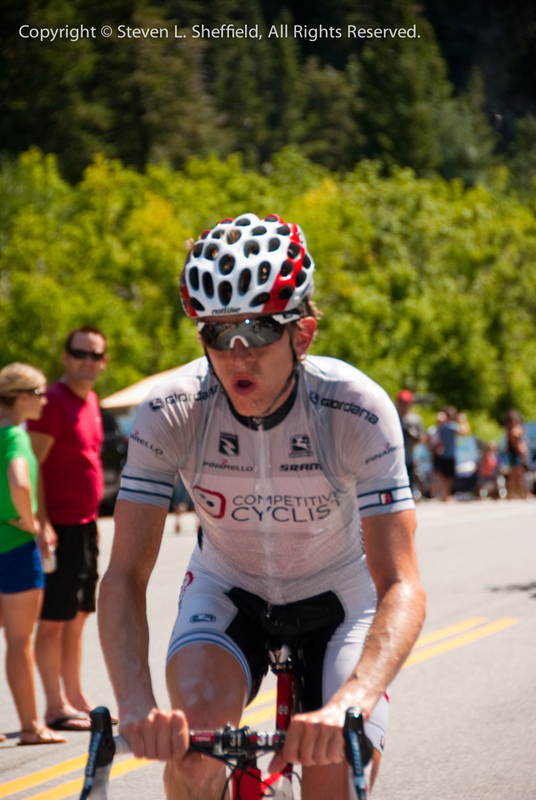 Radioshack-Nissan-Trek’s Matthew Busche is third on G.C., 43 seconds back. 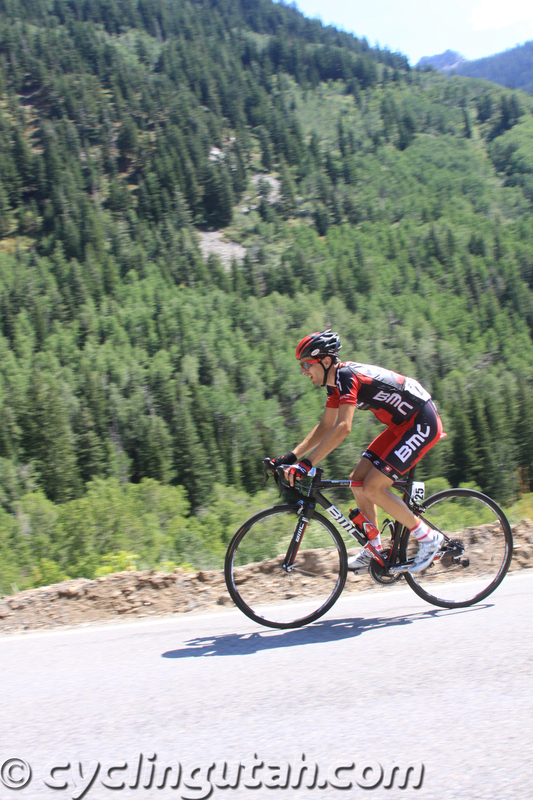 Koenig and Dombrowski round out the top five, at 53 and 58 seconds back, respectively. 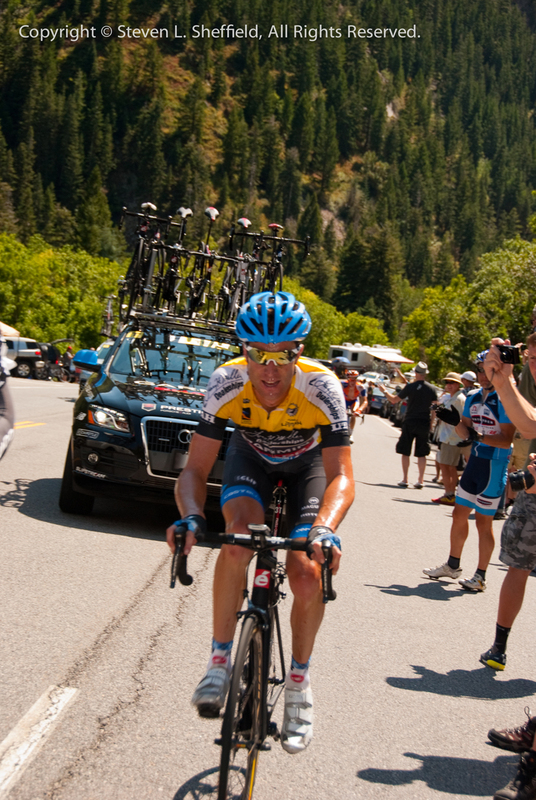 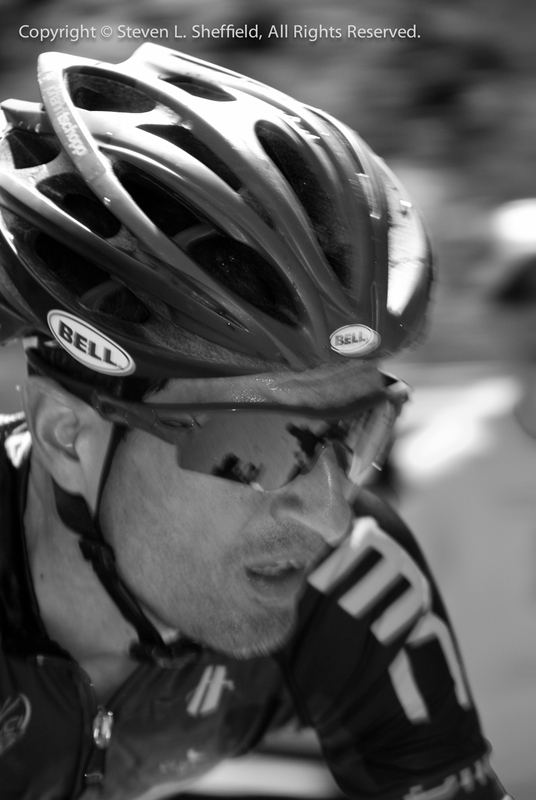 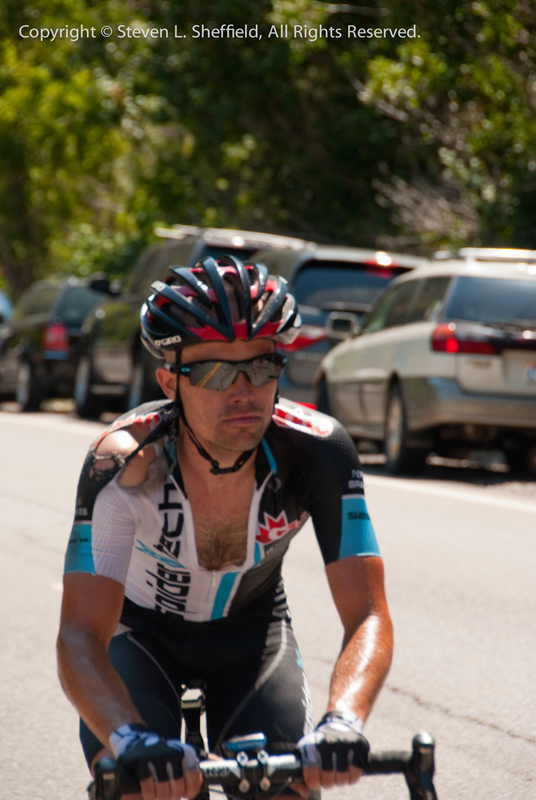 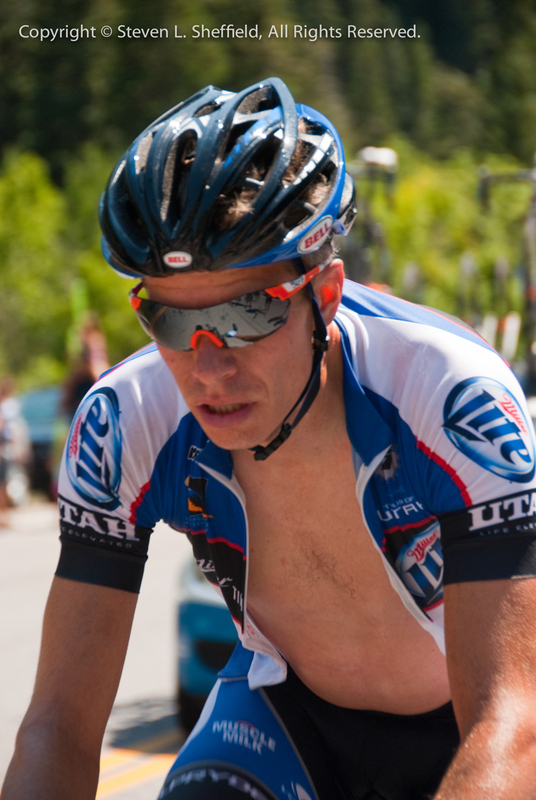 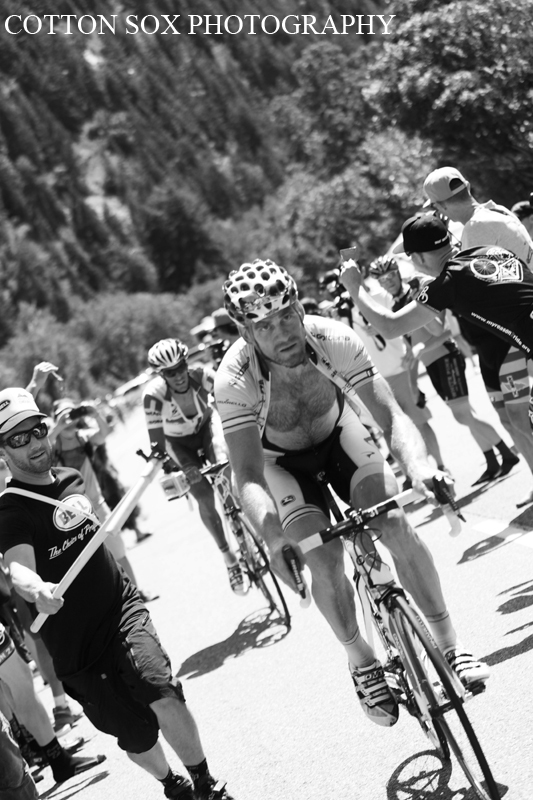 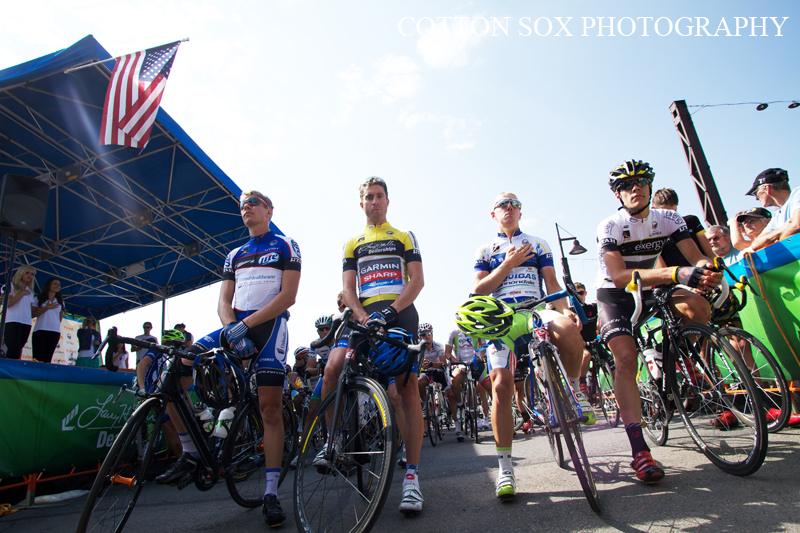 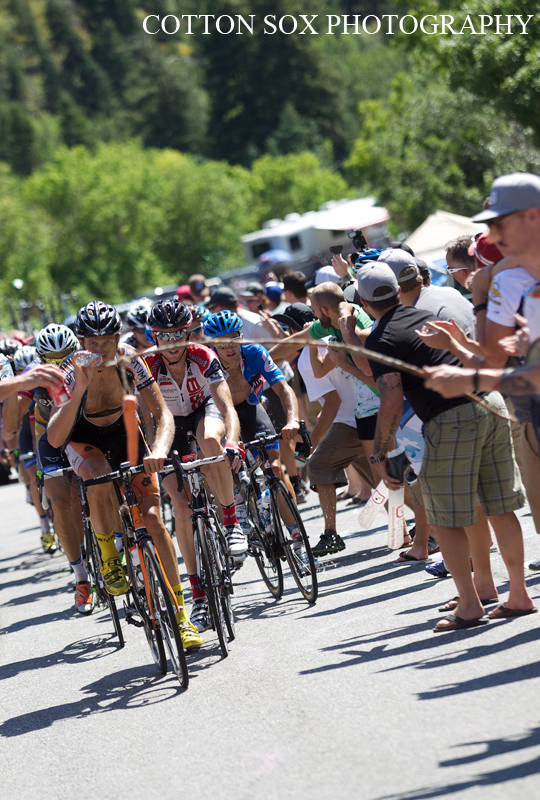 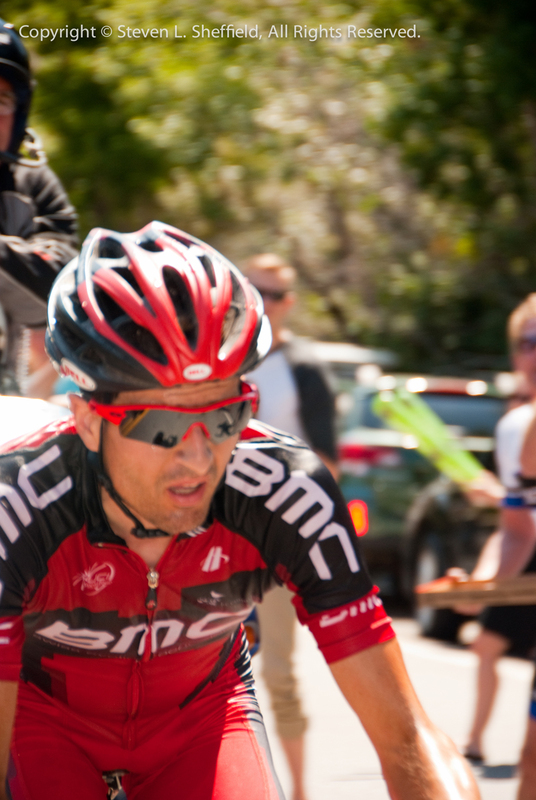 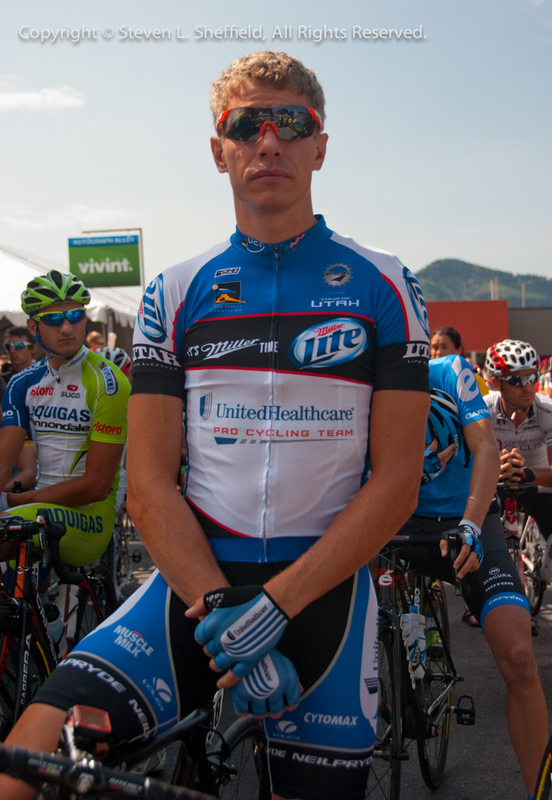 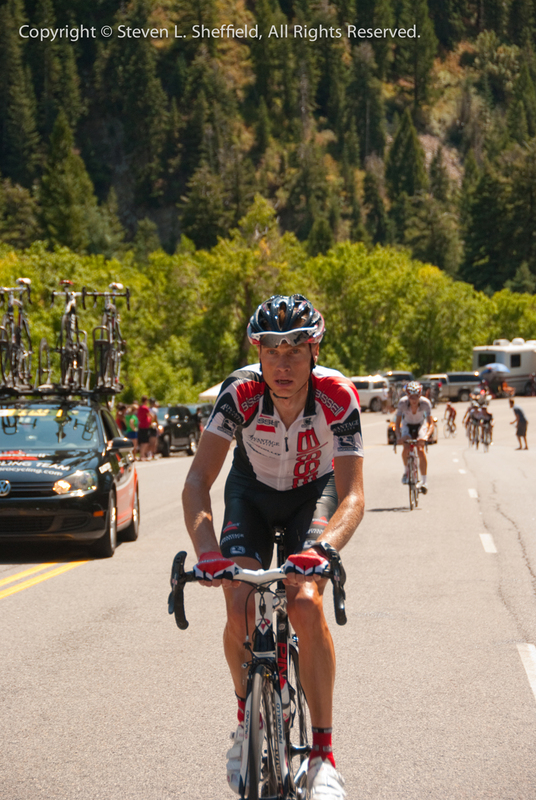 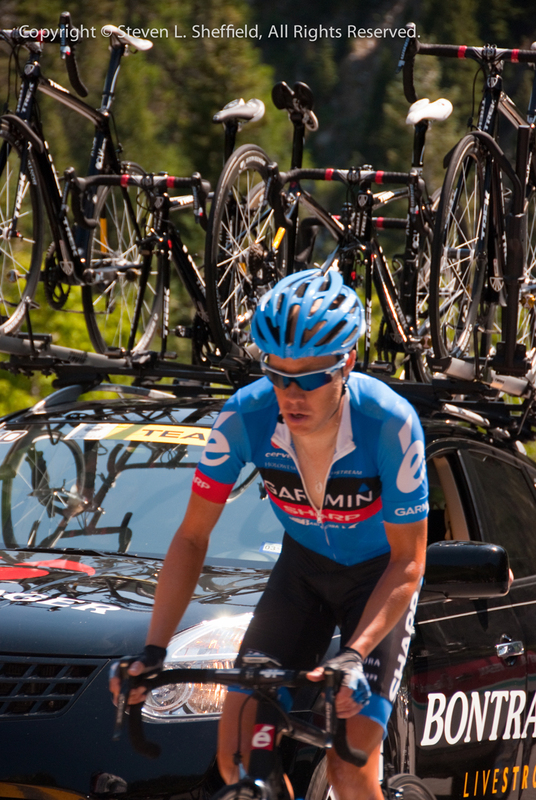 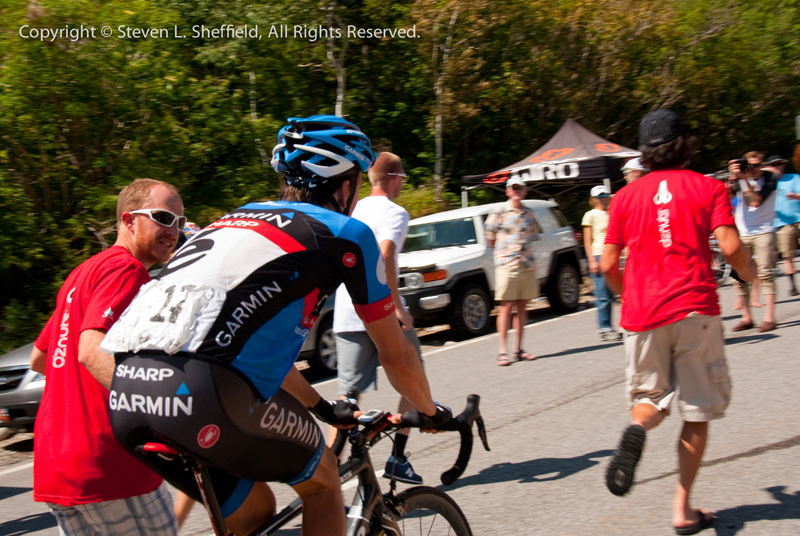 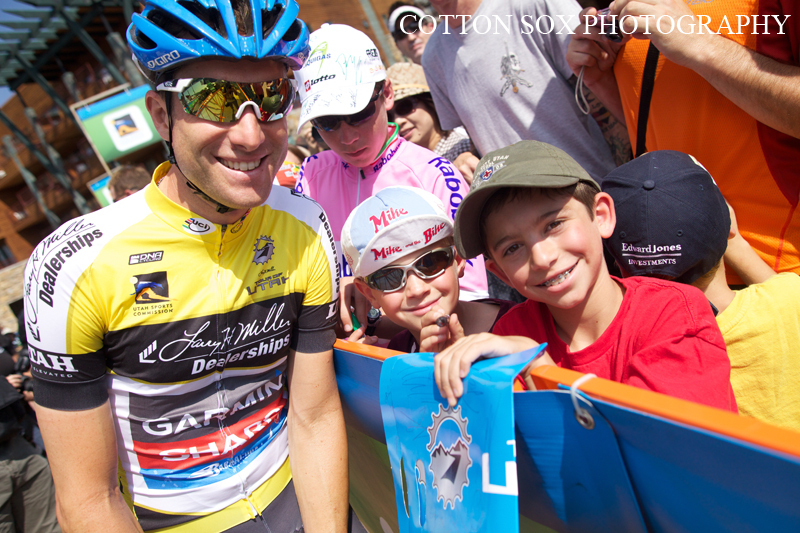 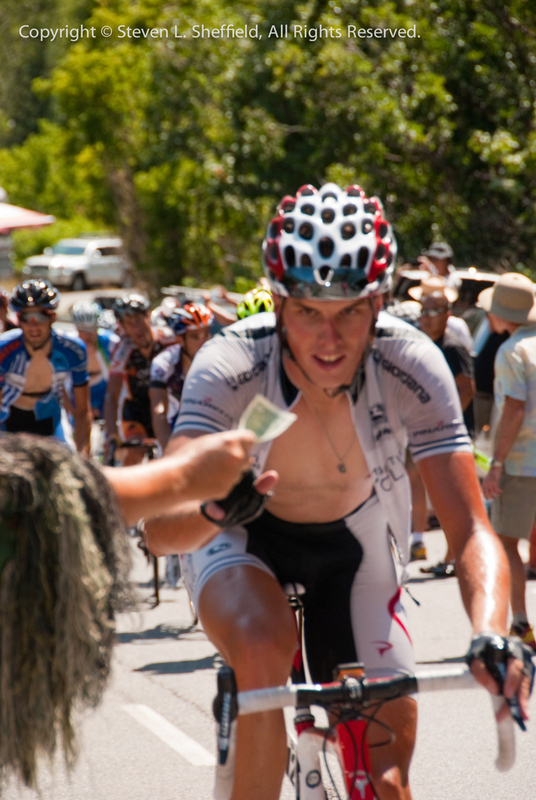 Dombrowski was part of the four-man chase group that included former Utahn Levi Leipheimer. 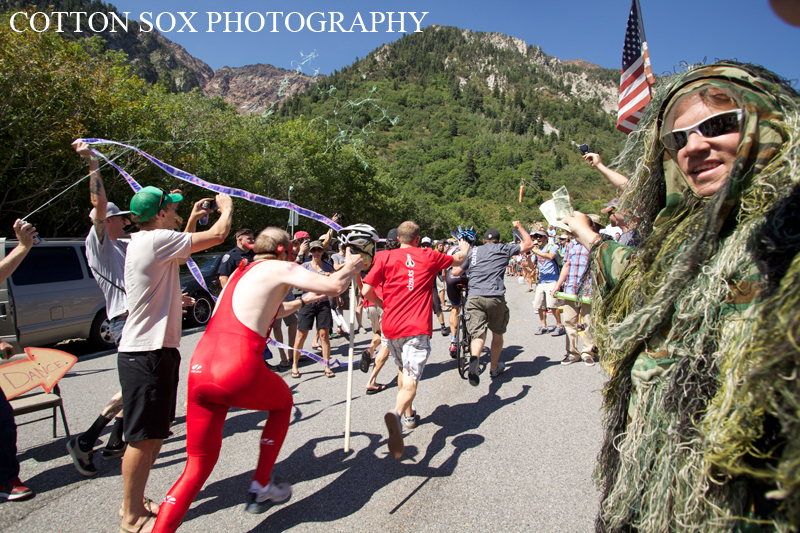 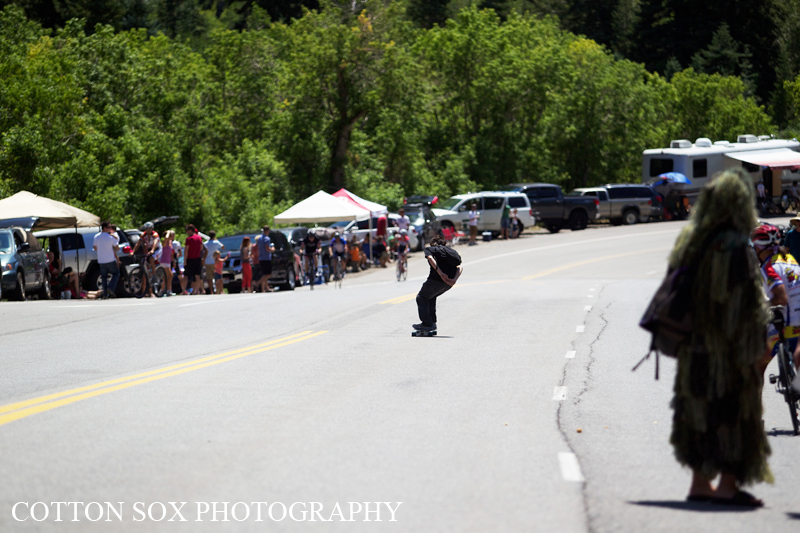 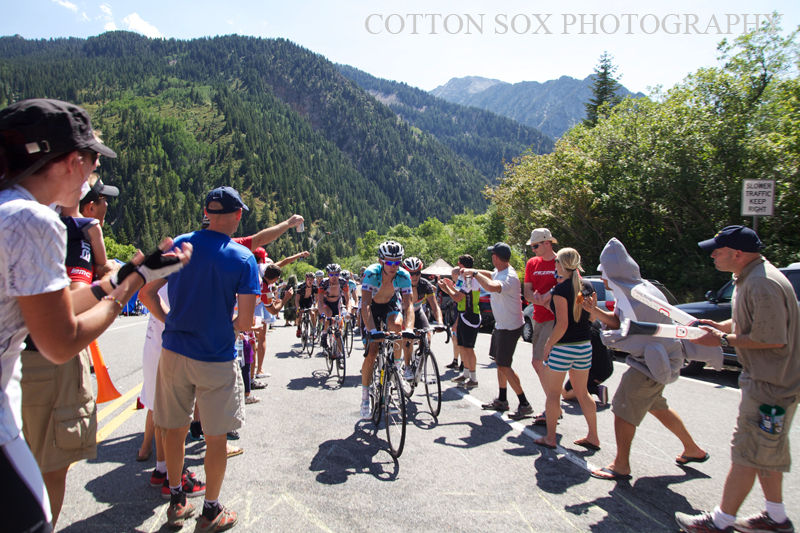 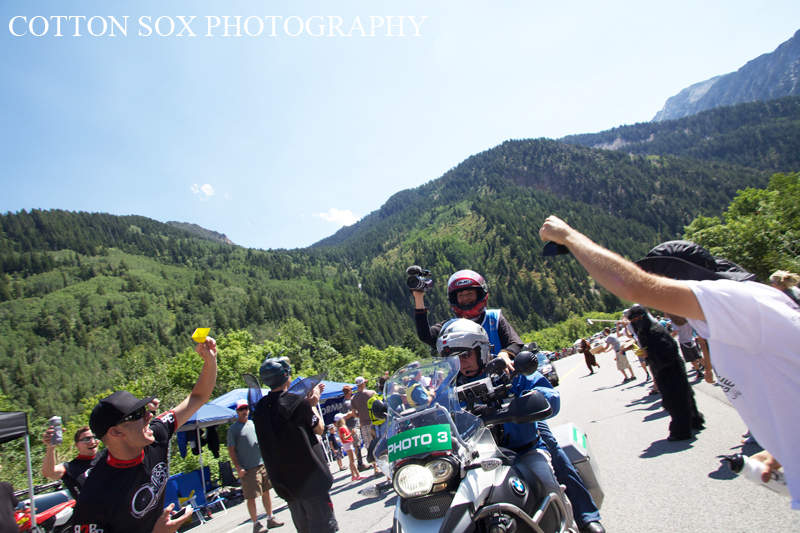 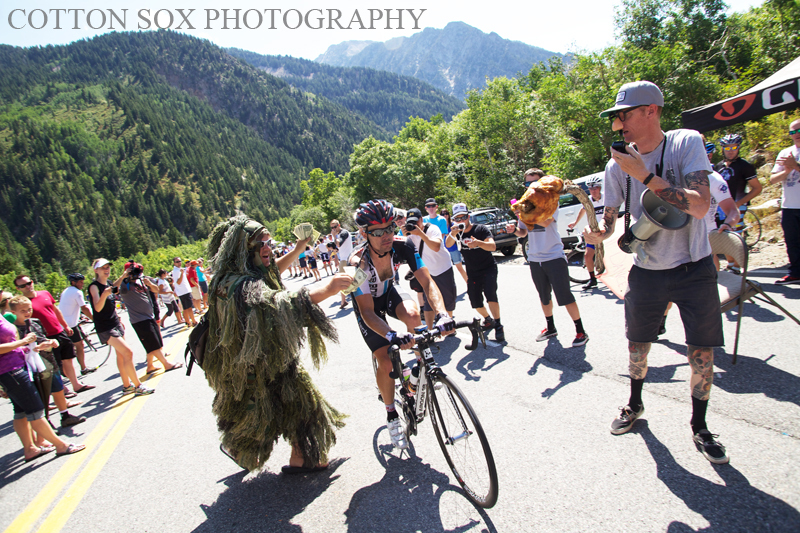 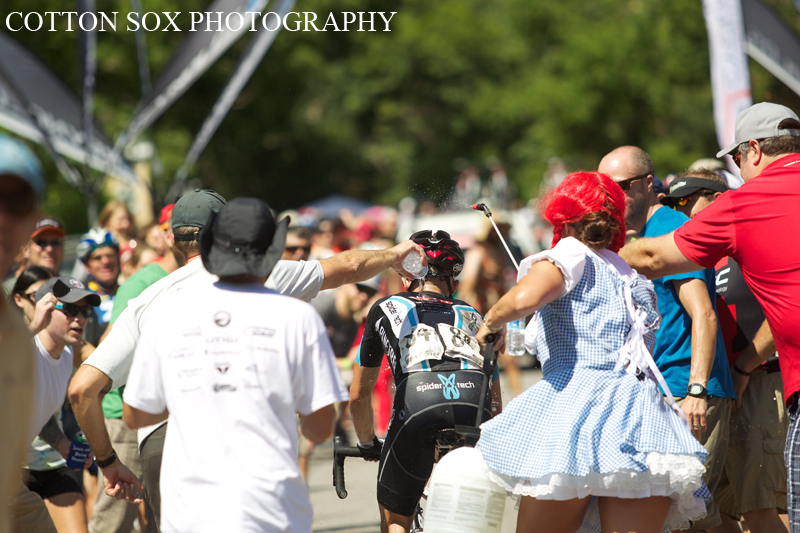 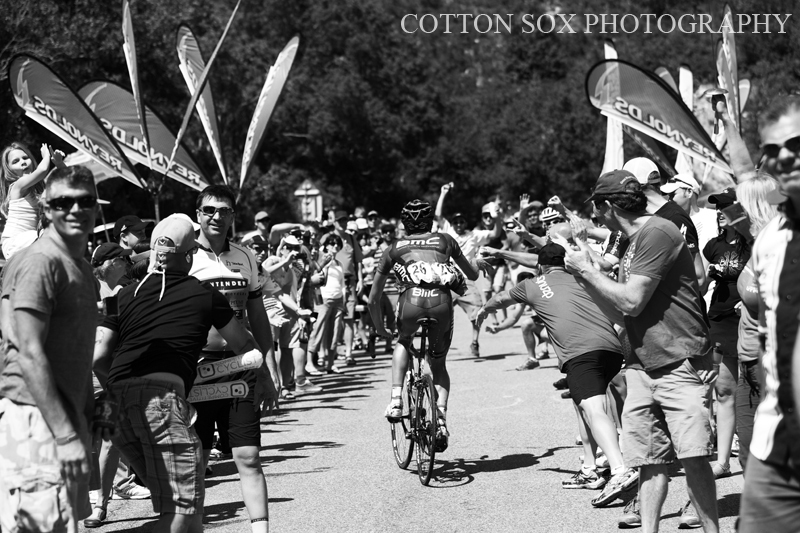 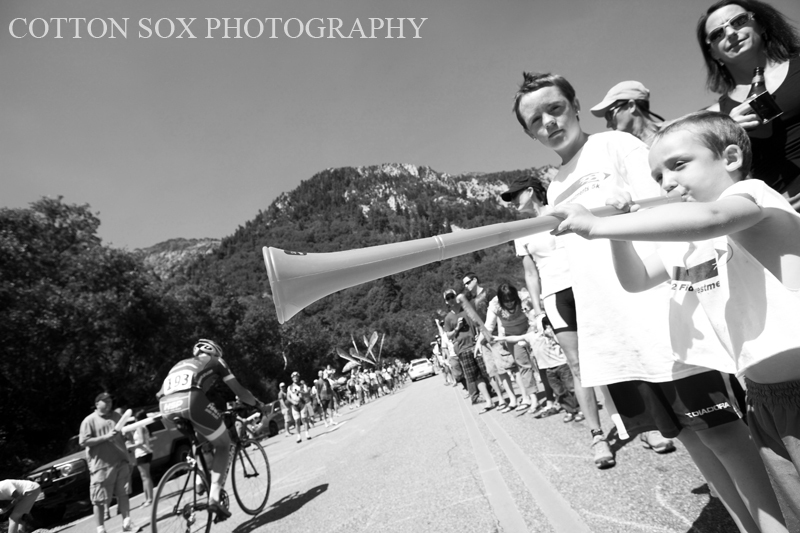 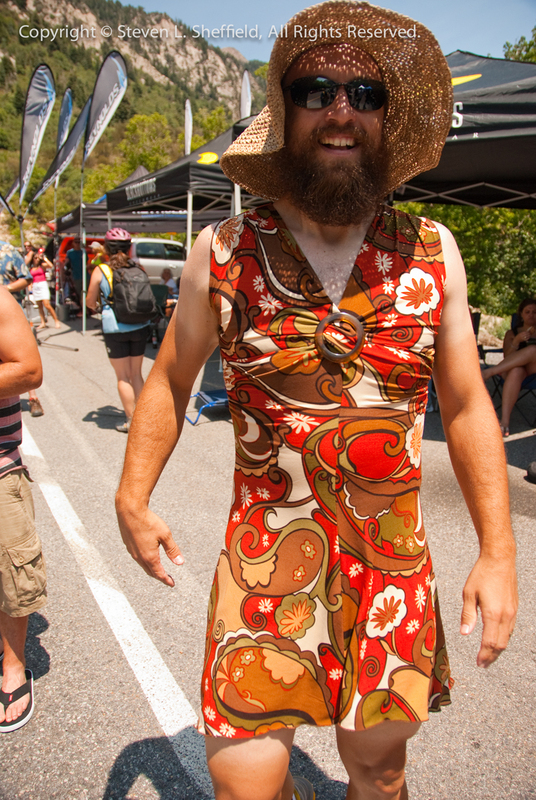 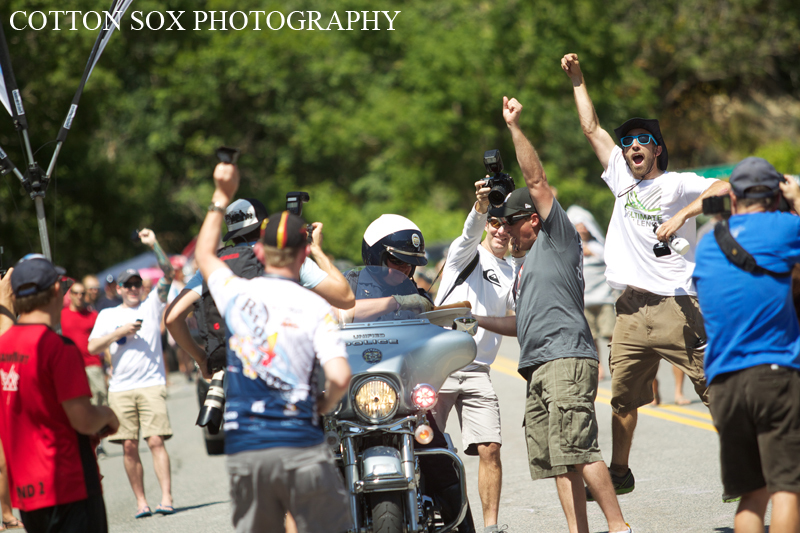 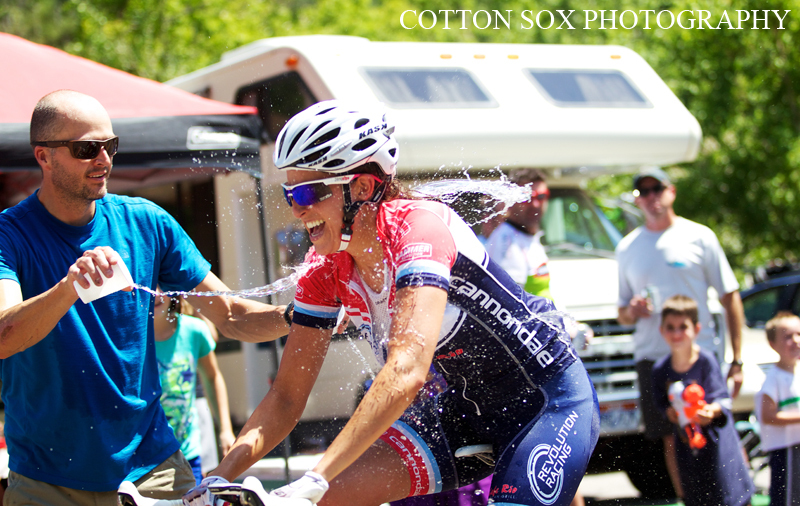 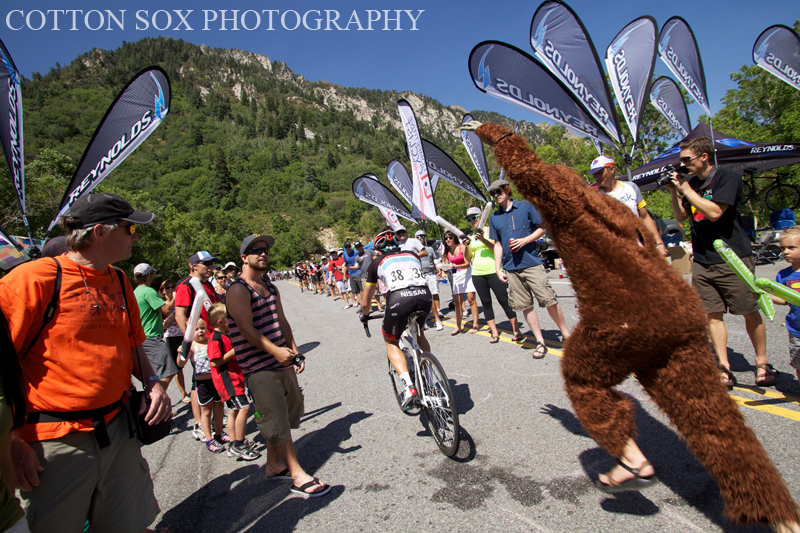 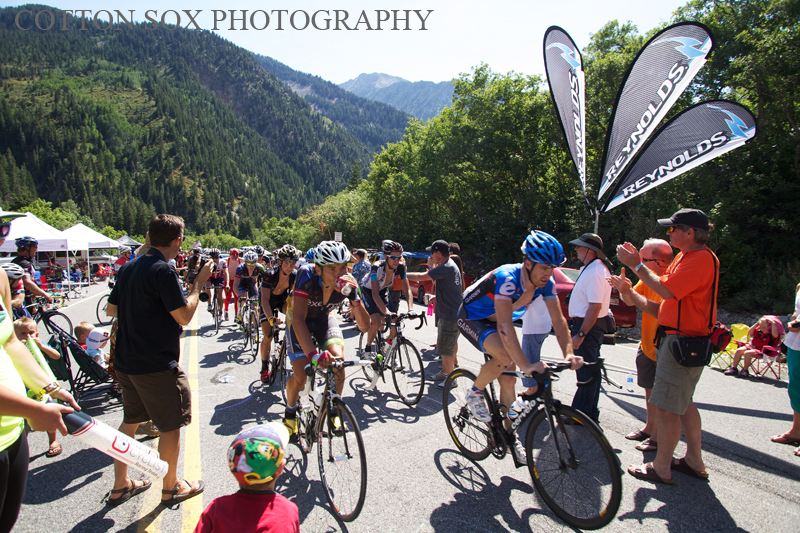 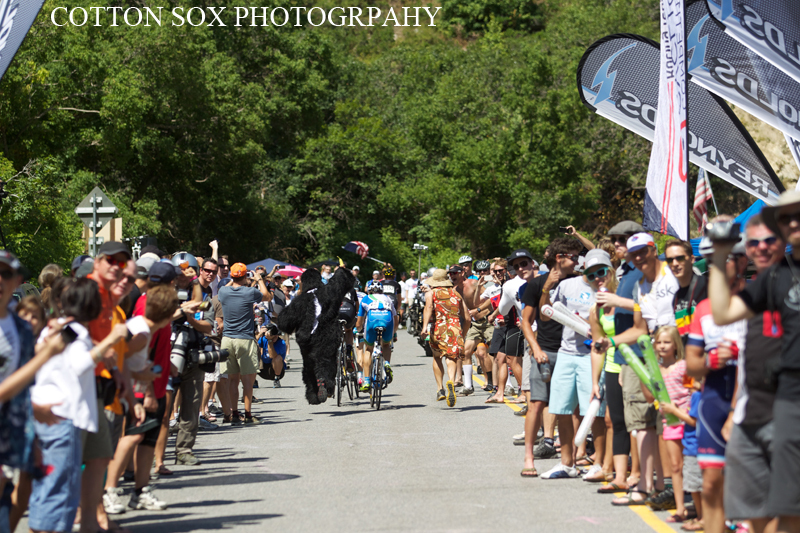 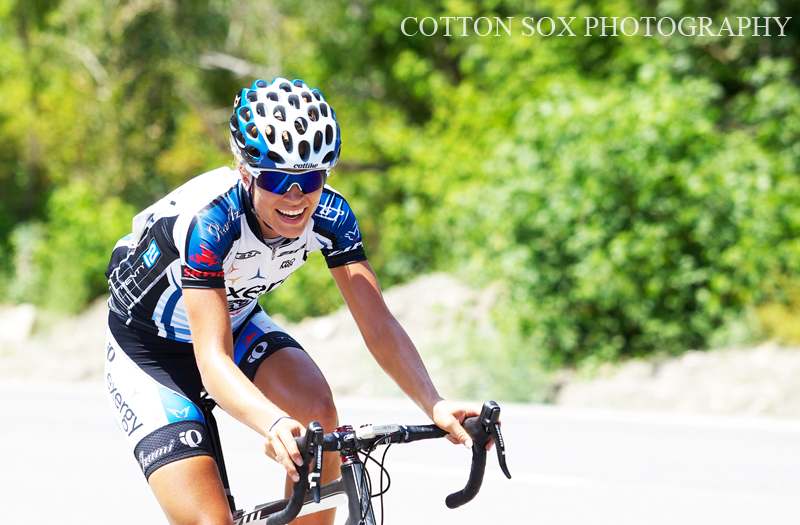 This group escaped the peloton and tried to chase Tschopp up Little Cottonwood Canyon. 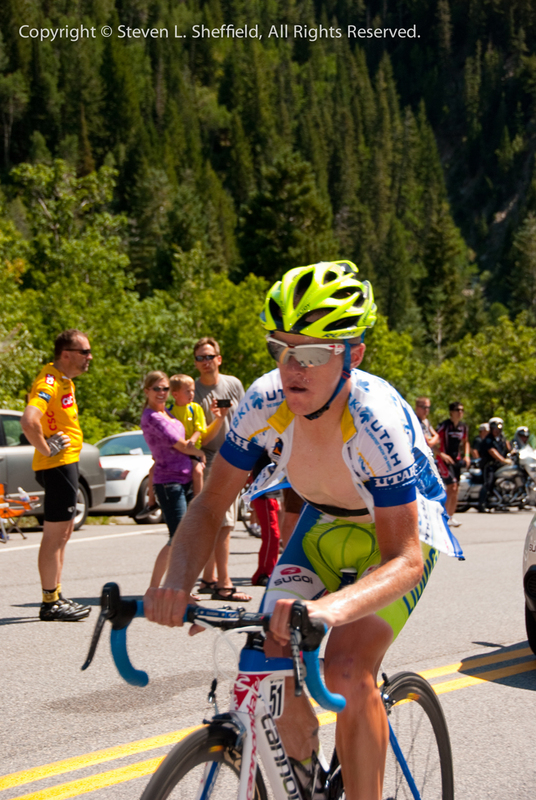 His efforts were rewarded with not only a podium spot for Stage Five presented by Exergy Development Group, but he slipped into the Subaru Best Young Rider jersey. 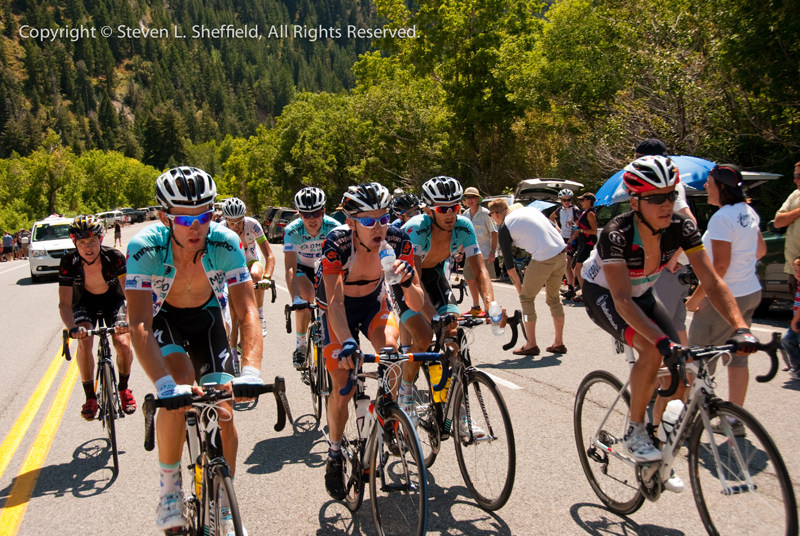 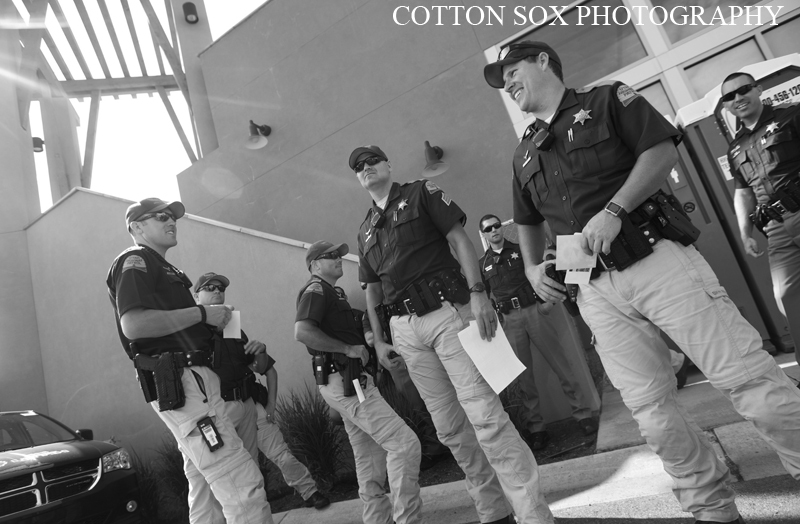 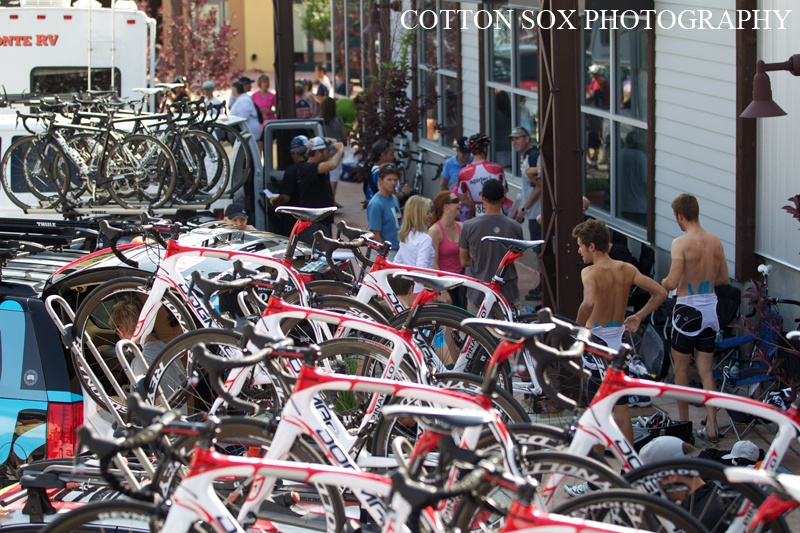 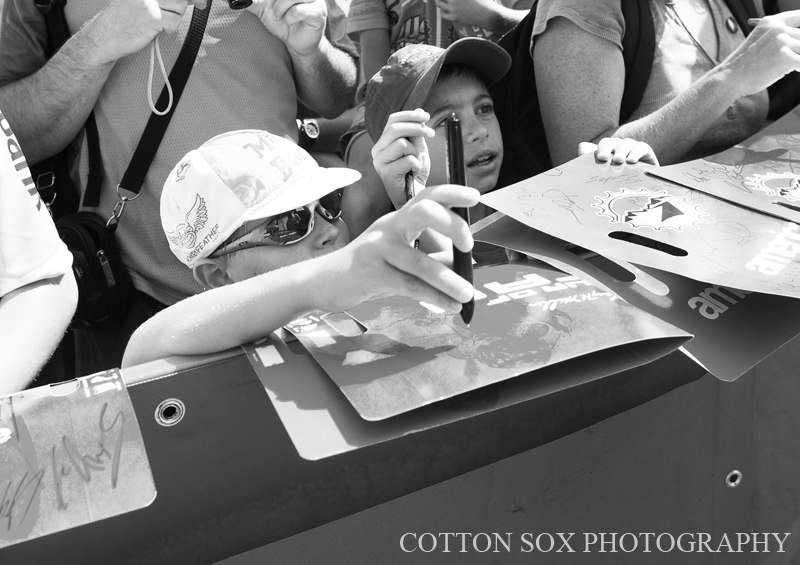 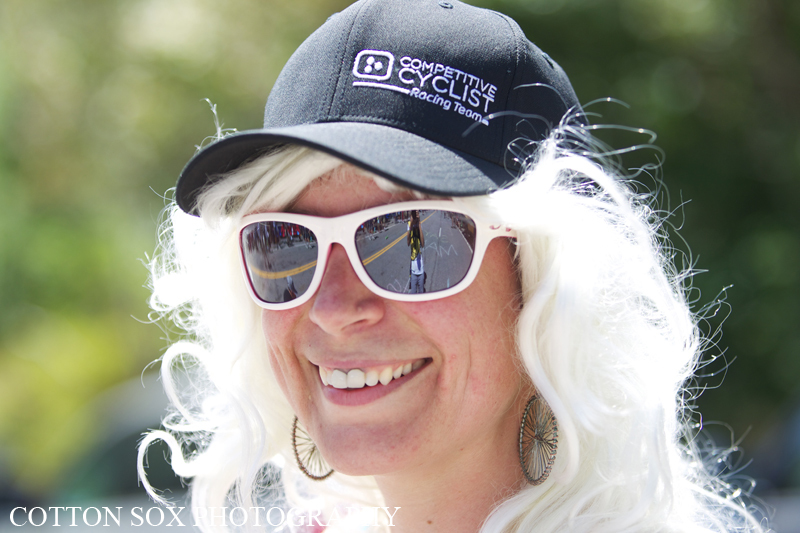 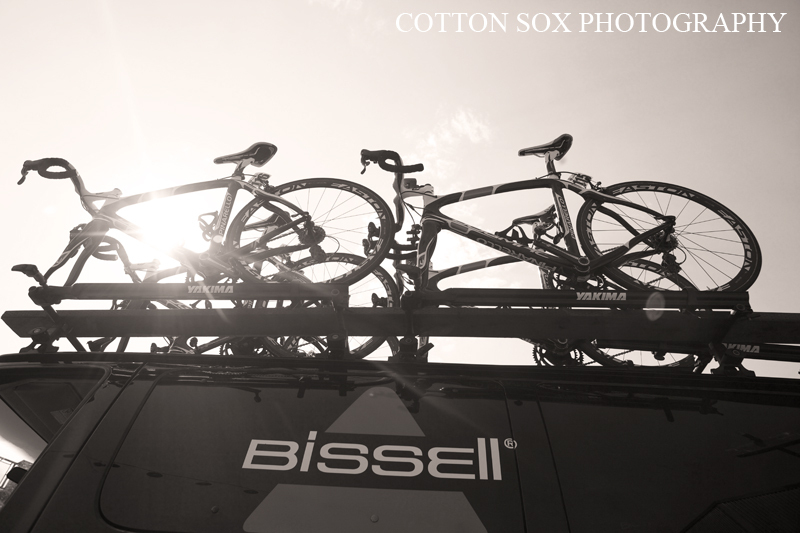 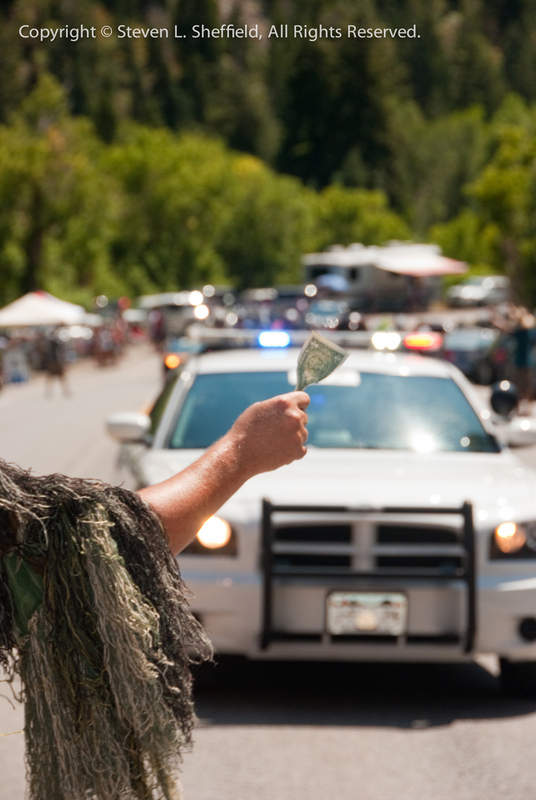 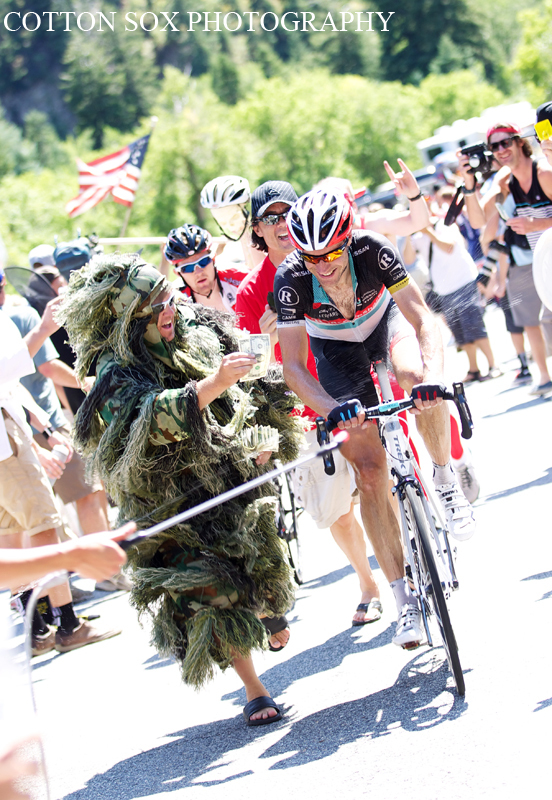 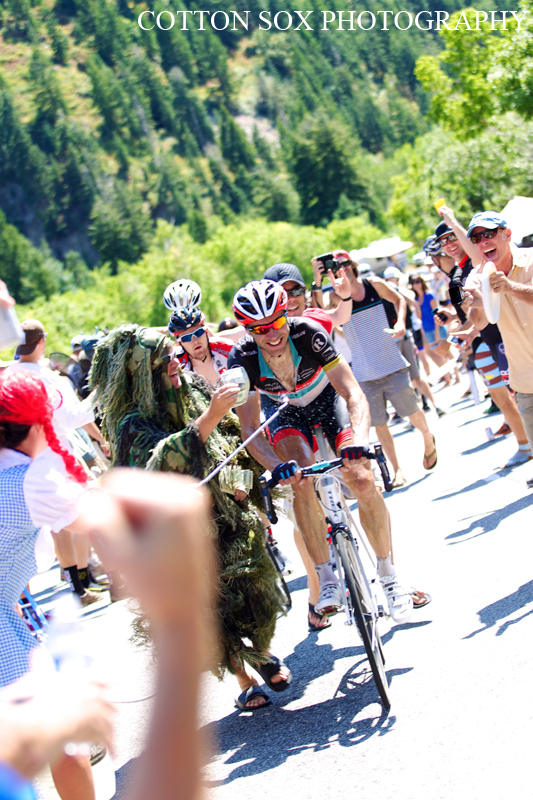 That group could not track down Tschopp, and the new Tour of Utah G.C. 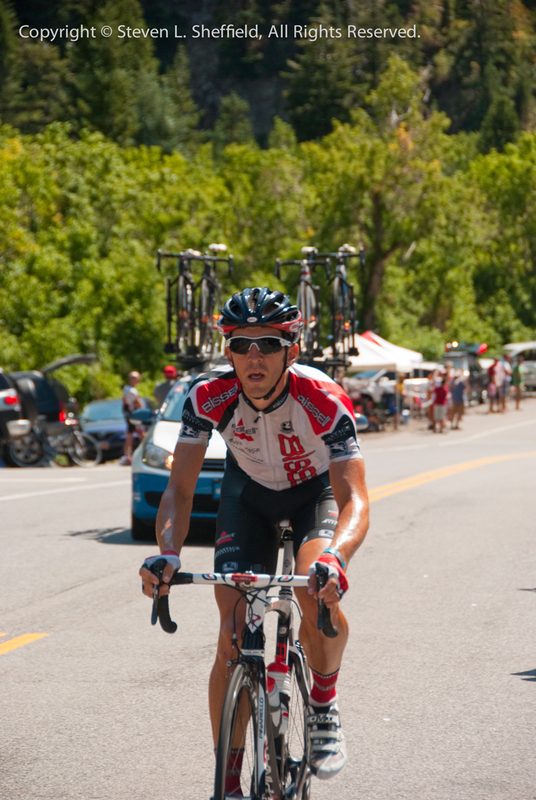 leader was able to enjoy the final few hundred meters en route to wearing the Larry H. Miller Dealerships Overall Leader’s jersey. 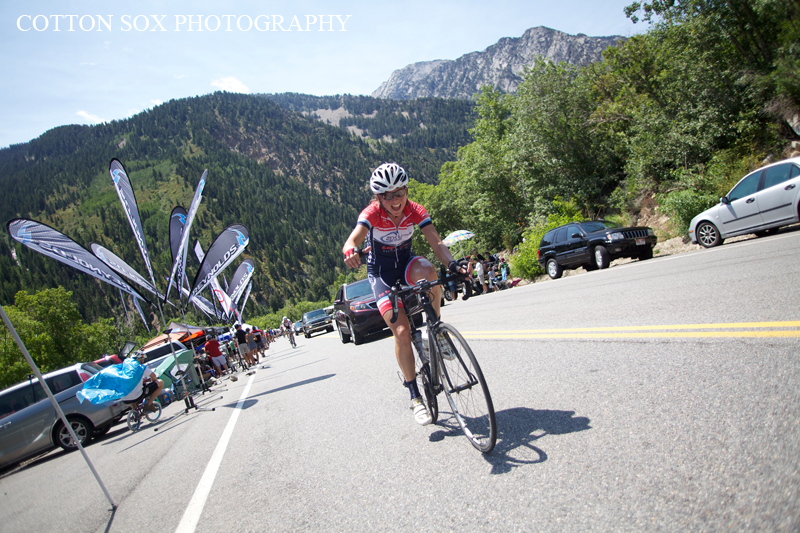 Ben Jacques-Maynes, Bissell Pro Cycling, went over the top of a pair of mountains quickly enough to earn all the points needed to take control of the Ski Utah King of the Mountains jersey. 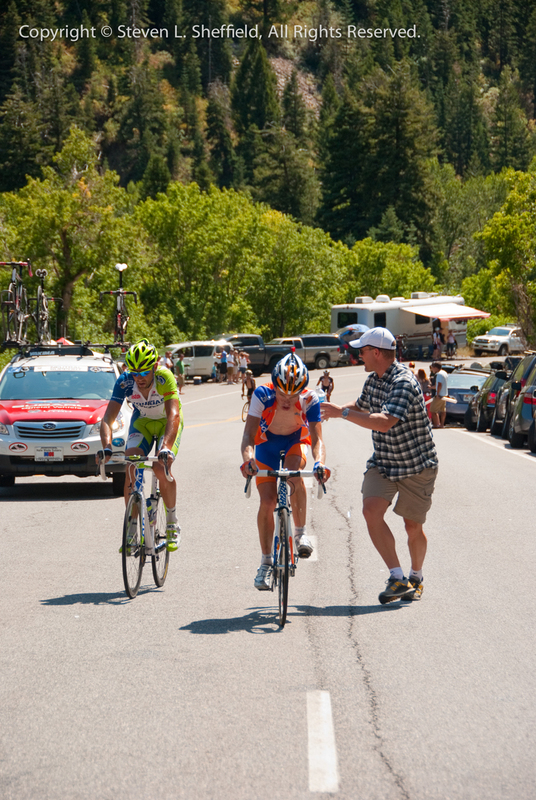 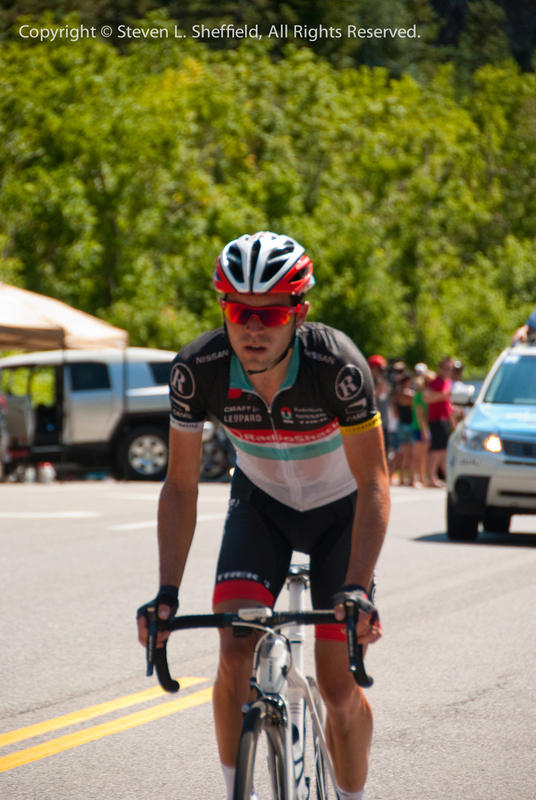 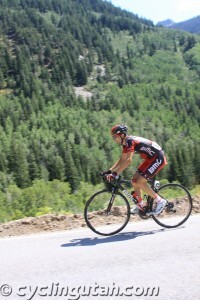 Spaniard Francisco Mancebo of the Competitive Cyclist Racing Team, the 2009 Tour of Utah champion, launched a solo attack on the Alpine Loop and bridged to the main breakaway group. 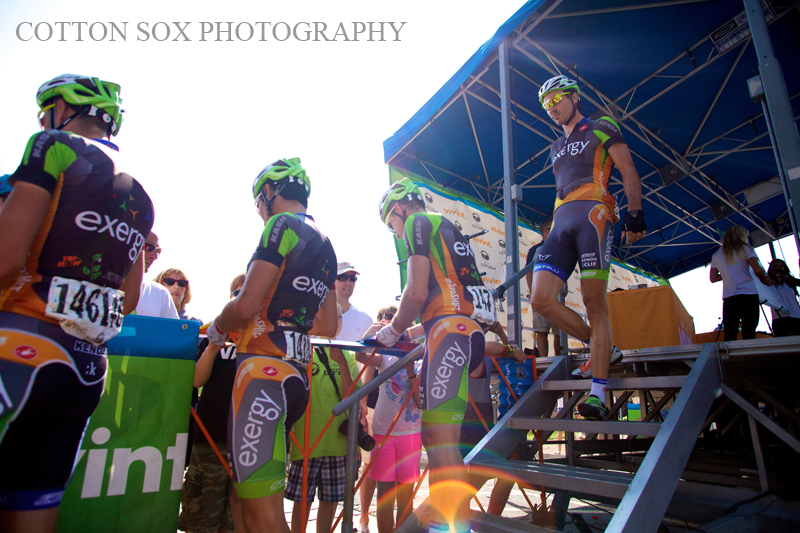 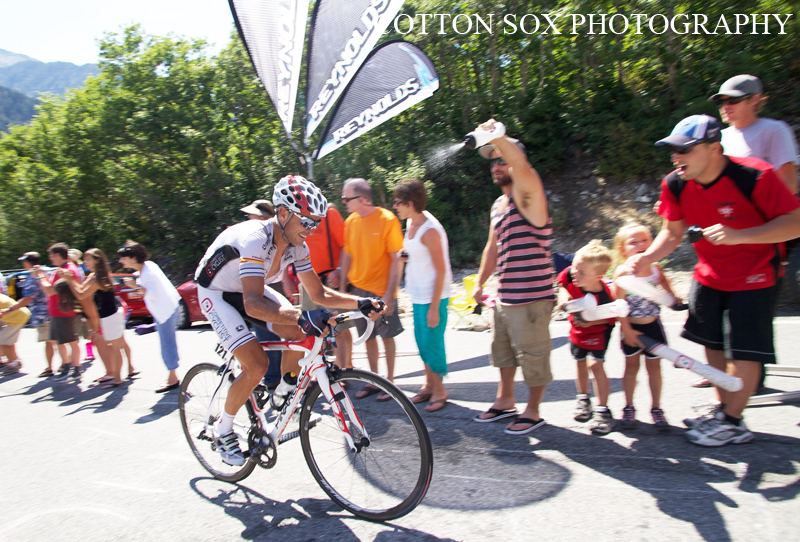 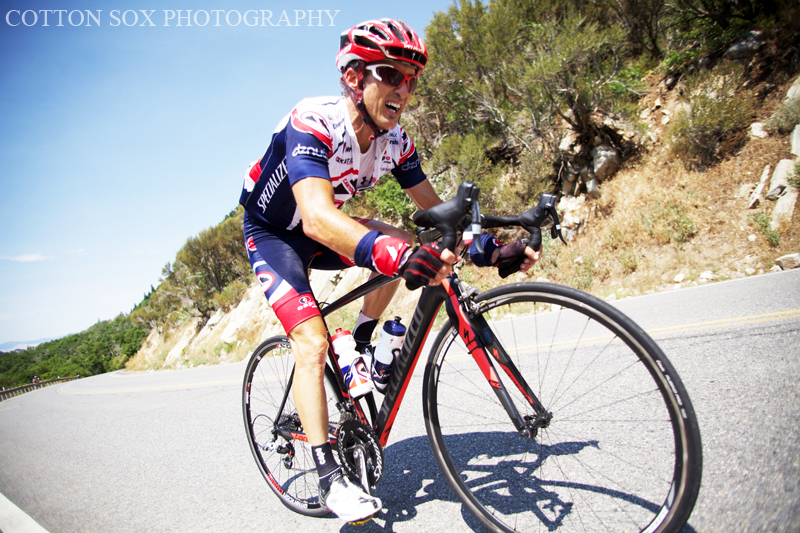 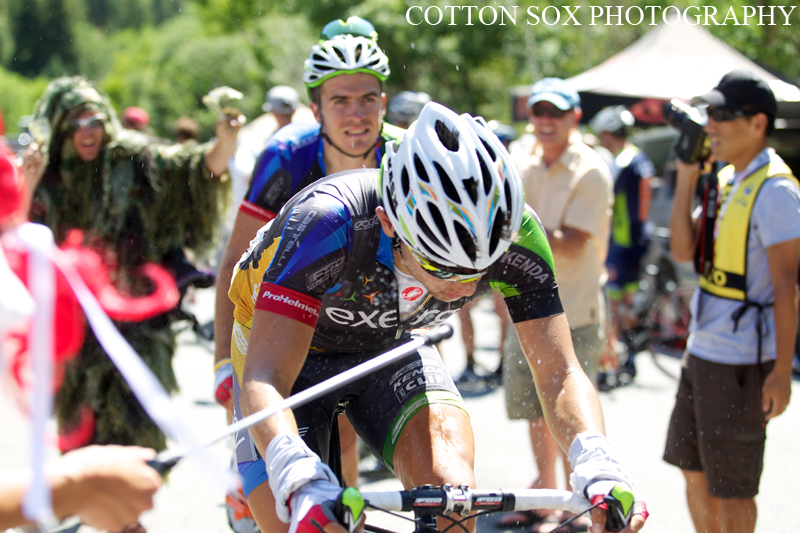 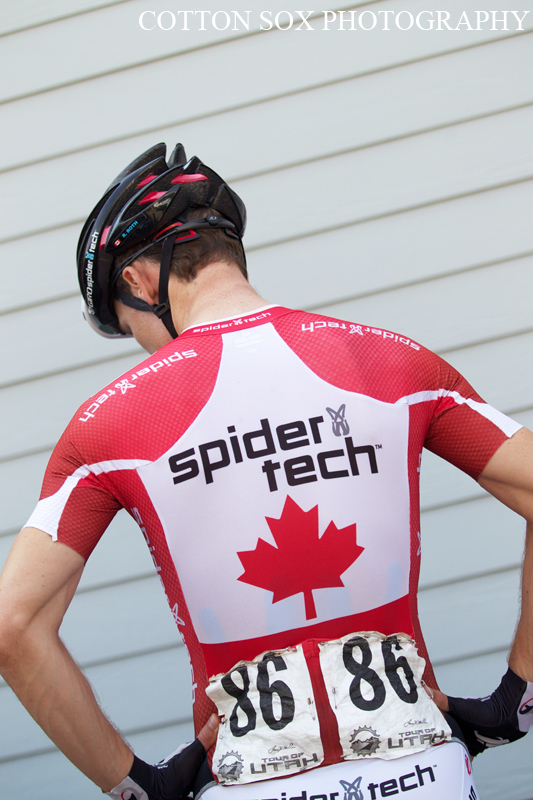 He finished 20th on the stage, but was awarded the Exergy Development Group Most Aggressive Rider jersey. 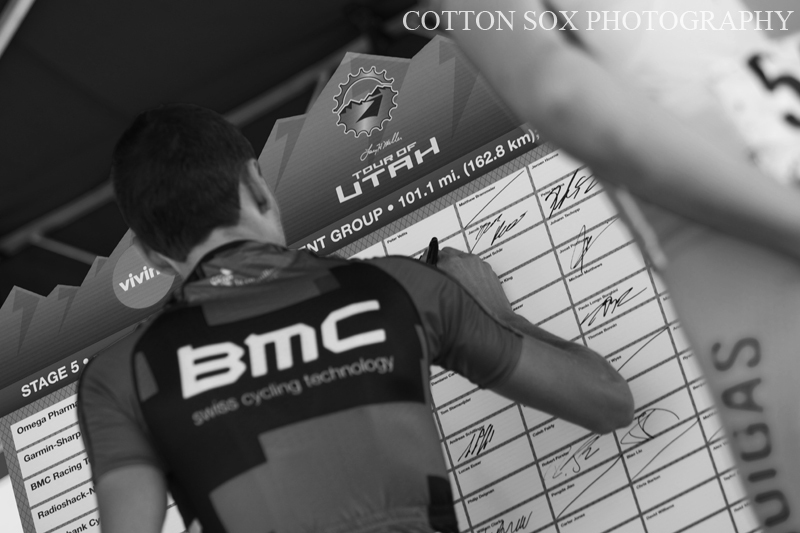 Jeff Louder, of BMC Racing Team, retained his Miller Lite Best Utah Rider jersey after spending most of the day in the breakaway. 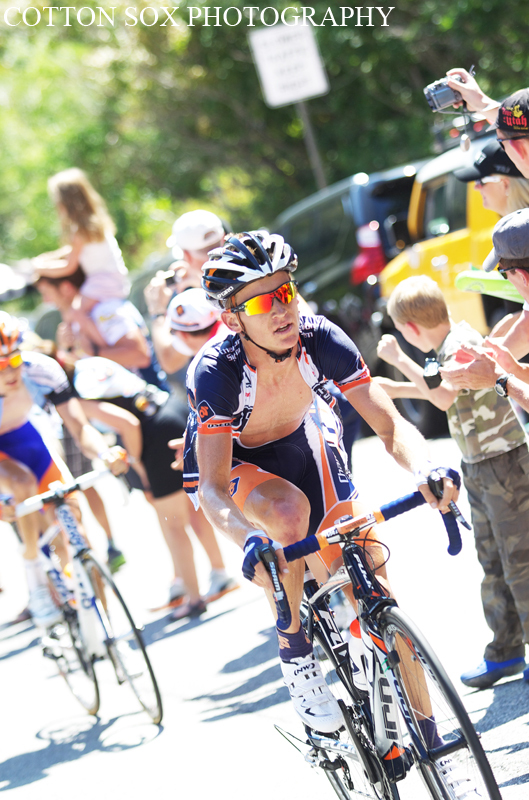 Rabobank’s Michael Matthews (Australia) picked up more than enough points to stay in the XO Communications Sprint jersey.